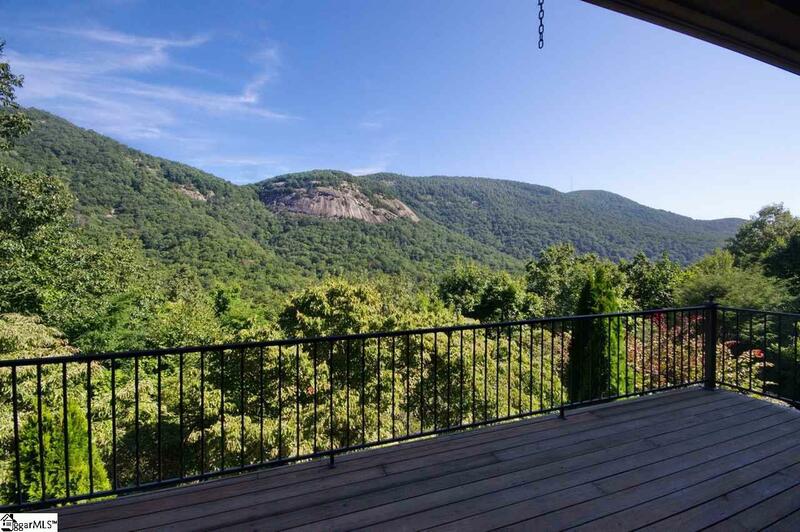 You could be sitting outside on the patio having dinner as you view one of the most beautiful scenes of the Blue Ridge Mountains! 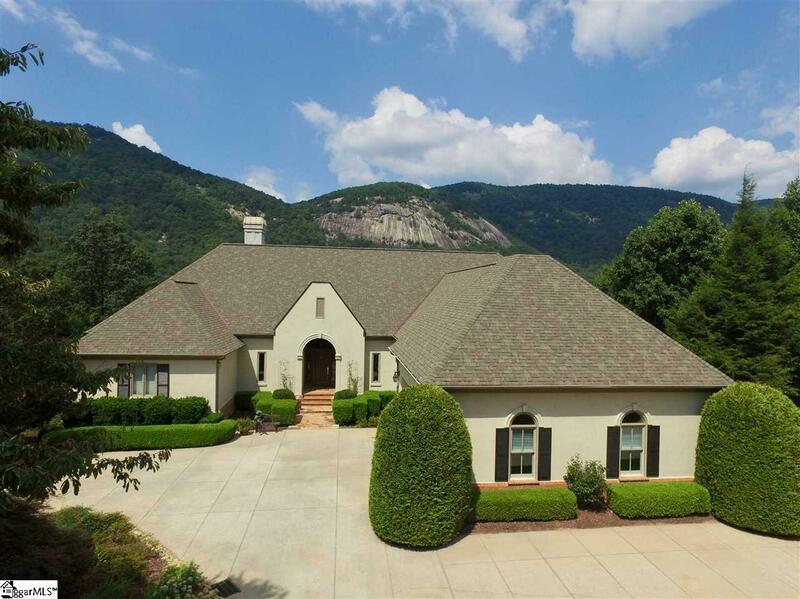 Its a French Country home in the Cliffs at Glassy, the gated golf and wellness community on Glassy Mountain in Landrum, SC. And as an added plus, the location is halfway between Asheville, NC and Greenville, SC and between the Tryon International Equestrian Center and the new Eagle Mountain Winery. 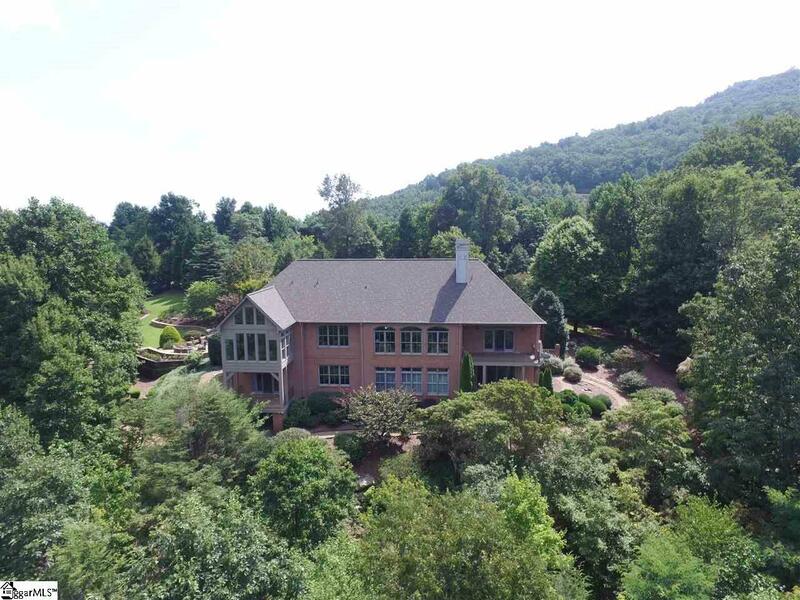 As you step into this well-appointed home, dramatic, up-close views of Hogback Mountain from nearly every room will take your breath away. 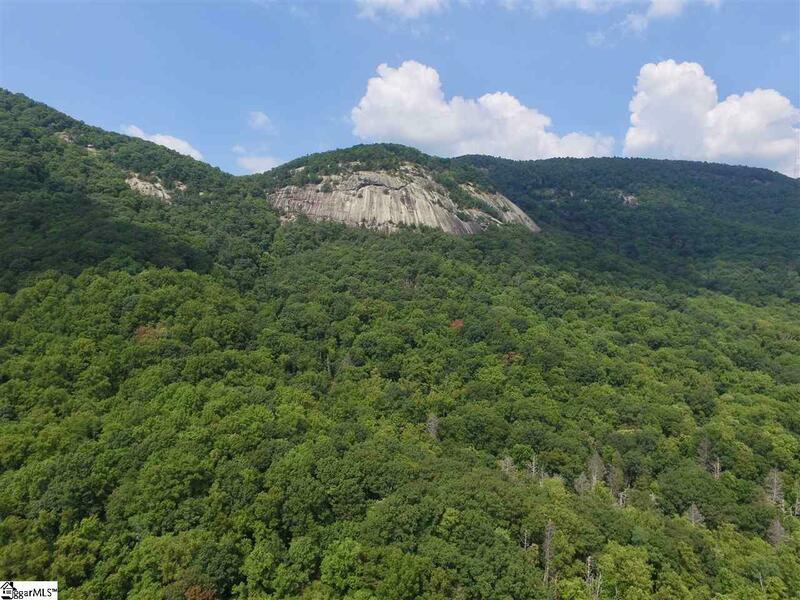 Its a beautiful setting, on 2.4 secluded acres, with conservation lands bordering two sides of the homesite, ensuring privacy and protecting the mountain view. The professionally landscaped and terraced property with 6-zone watering, includes flower and vegetable gardens, cascading waterfalls, a koi pond, and a wooden bridge, adjacent to two levels of stone patios, perfect for enjoying the cooler mountain temperatures. Some of the interior highlights include superb finishes, high-end appliances, Marvin Windows throughout, and a comfortable, accommodating floor plan. Designed with luxury, functionality, and exclusivity, this home features a spacious living room with a gas fireplace and hand carved antique stone mantel, a grand dining room with antique doors, a keeping room with bar refrigerator and wine cooler, well-equipped kitchen, breakfast/sun room, powder room, and master suite with a wood burning fireplace and covered deckall on the main level. The master bath also provides heated floors. Luxury continues on the lower level with two generous bedroom suites, each with their own private bath and walk out covered deck, a recreation room, wine cellar cave, and large study (either the recreation room or study could be converted into a fourth bedroom). Important additional features include large storage areas, surround sound systems, and wireless Internet. Delight in the quality throughout this meticulously maintained, spectacular custom home. Furnishings and the homes extensive art collection are available with a separate bill of sale. A Cliffs Club membership, which provides a membership at all seven Cliffs clubs, is also available to purchase with the real estate.